Once upon a time, macaroni cheese was a tired meat-free restaurant option especially in place for vegetarians and seemingly nobody else. 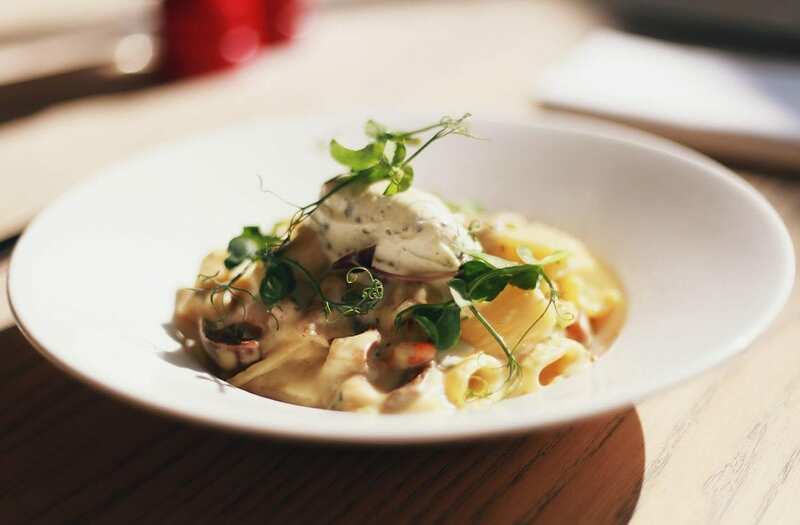 However, a recent survey by data and insights experts Horizon has shown figures to support the fact that mac & cheese has become a firm favourite in British restaurants in recent years, with a 550% increase in presence. It’s already clear that nowadays meat-free dishes are no longer favoured solely by vegetarian diners, but the rise in popularity for macaroni cheese could also be due to the fact that so many exciting new adaptations to the classic are being made, all across the globe. Bel & The Dragon’s country inns, for instance, provide a luxurious version of the dish that includes wild mushroom and truffle crème fraîche. A refreshing slant to the dish, joined by a relatively simple recipe that’s been provided for readers to follow at home in celebration of mac & cheese’s rise in popularity. A rise that we can certainly expect to continue well into the future. Cook the rigatoni in hot boiling salted water until al dente, then refresh in cold water. For the cheese sauce, make as a béchamel sauce, then add the grated cheese and cook out until melted. Heat the cooked mushrooms in a pan with the cheese sauce and a splash of truffle oil. Once hot, toss the pasta through the mixture then serve with a scoop of truffle crème fraîche on top. Further information on Bel & The Dragon can be found at belandthedragon.co.uk.